Editor’s Note: Business at Home is an occasional series that offers a glimpse into the personal lives of local business owners. 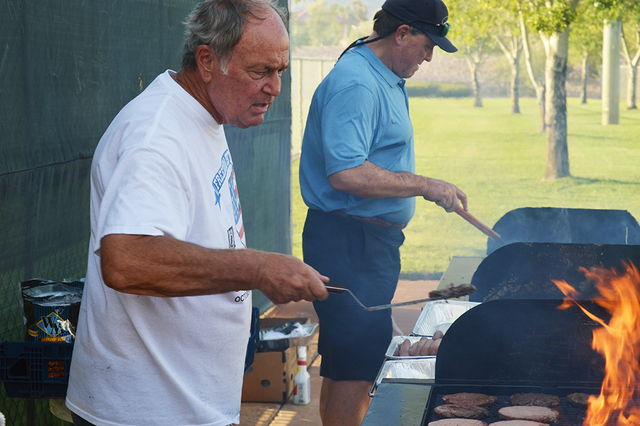 Jack Gaal cooks up burgers and hot dogs for those attending National Night Out on Tuesday at Veterans' Memorial Park. The owner of Jack’s Place has been cooking at the event for the past three years. Max Lancaster/Boulder City Review. Jack Gaal is sweating profusely as he toils over the hot grill, cooking hundreds of burgers and hot dogs for citizens and law enforcement officers attending National Night Out on Aug. 2 in Veterans’ Memorial Park. For three years in a row, Gaal has cooked burgers and hot dogs under the hot evening sunset for National Night Out, and every year no one needs to ask him to man the barbecue. Residents who have lived in Boulder City or are close to Gaal know him as the owner of the downtown sports bar and restaurant, Jack’s Place. But if you don’t know him that well you, would never be able to tell that he was anything other than one of the many volunteers who make the event happen. You may know that Albertsons supplied all the meat, but at National Night Out there are no signs advertising his restaurant, no indications of sponsorship stating that every burger and hot dog is being cooked courtesy of Jack’s Place. It’s just Gaal in a T-shirt and jeans attentively checking on the meat and Gaal likes it that way. Gaal does not cook alone and for the past three years he has had his friends help him make sure that everyone attending National Night Out is well fed. Former Boulder City Chamber of Commerce President Julie Boyster and her husband, Zane, have spent the past three years sweating over the grill with Gaal. For 23 years Julie and Zane Boyster have helped Gaal with any professional or charitable work he undertakes and Gaal is quick to repay the favor. When he needs to, Gaal uses his good standing in the community to help the Boysters give back. Gaal talks about his volunteer work at National Night Out with comedic modesty. Zane Boyster said Gaal and his wife, Katie, are able to mobilize people in the community for charity work because everyone in Boulder City trusts them and trust is the most important trait to get people to help out. 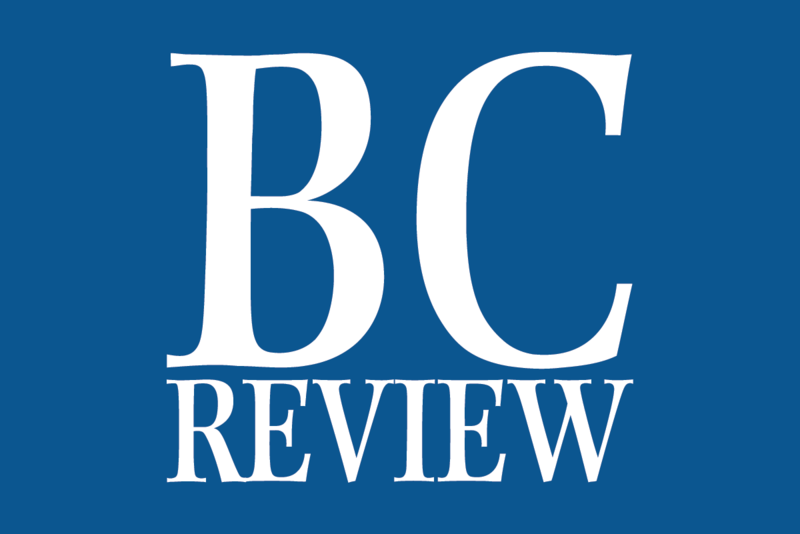 Contact reporter Max Lancaster at mlancaster @bouldercityreview.com or at 702-586-9401. Follow him on Twitter @MLancaster BCR.